Rock Business Pro is a multipurpose and corporate theme developed specifically for all types of businesses like consulting financial adviser, medical, construction, tour, travels, interior design, agency, accountant, startup company, finance business , consulting firms, insurance, loan, tax help, investment firm etc. 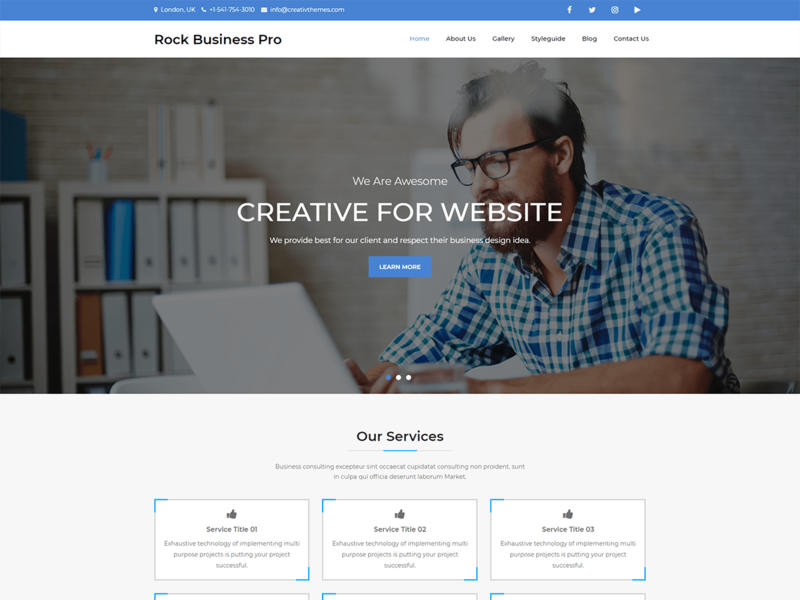 Rock Business Pro Theme filled with additional functionality and adds all features to let you create unique website. We know that every business is unique, that’s why we have done Intimate research to build Rock Business Theme with brilliant idea.